Swipe over the Japanese subtitle to search the meaning of a Kanji / word / phrase. 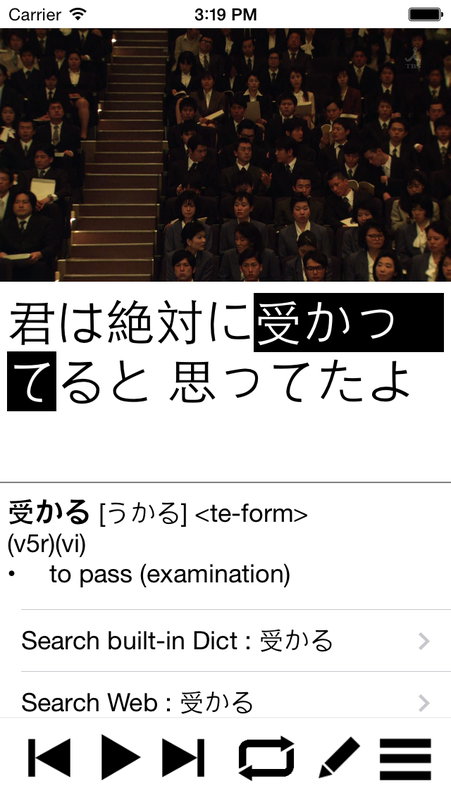 Press and Hold the first character to search the longest recognised word / phrase. Single click the dictionary entry to hear the pronunciation. 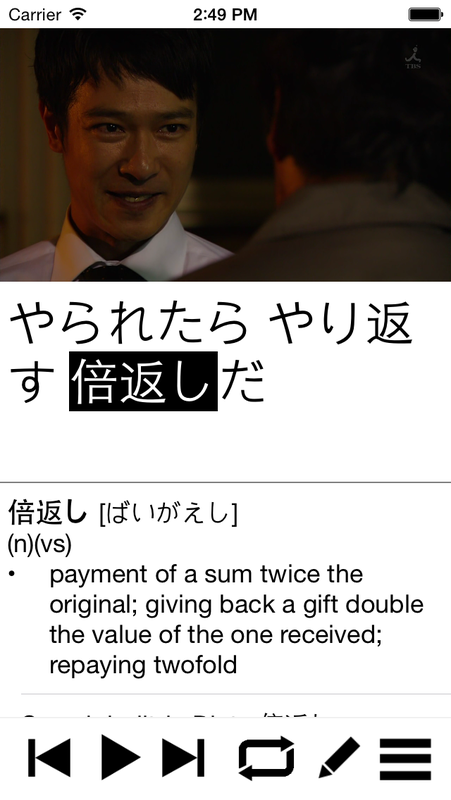 For details, please check out our Dictionary Feature page. 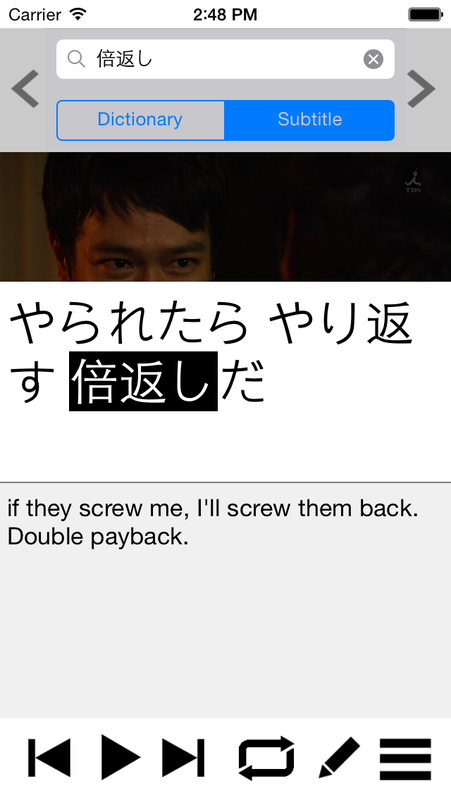 Both the Japanese and the auxiliary subtitle can be edited right inside the App. Press + or – once for small adjustment. Swipe left or right to navigate through sentences. Swipe the bottom Bar to get more play functions. The + and – button refers to tuning the timing of the sentence. Any changes are committed to the subtitle file. These buttons are particularly for listening training. Drag the top part of the screen downward would reveal the Search tool. 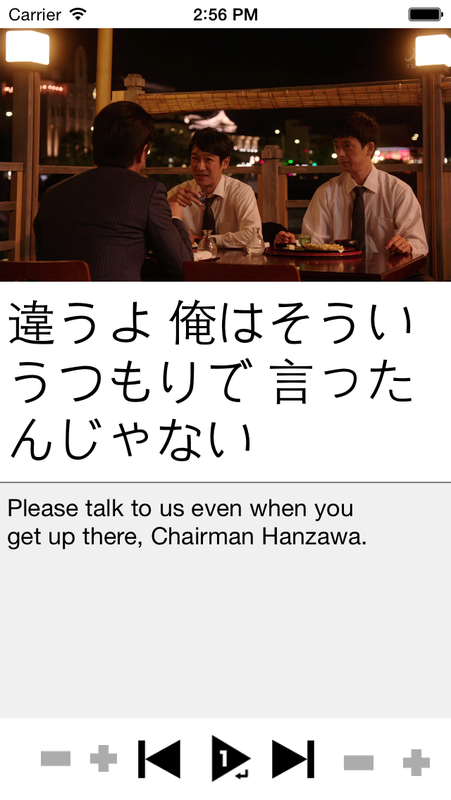 You can search any word in the subtitle.